Bali Restaurant The Cuisine located in Jimbaran area where the place offer fresh seafood and many tasty BBQ restaurant along the beach. 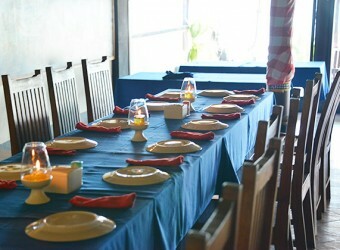 This restaurant is one of the popular seafood restaurant among tourist. They offer global standard customer service and friendly hospitality for all guest. Also recommend for honeymoon couple who want to spend time with romantic atmosphere.